Parents of children with cognitive learning needs, ADHD, dyslexia, etc. please know YOU ARE NOT ALONE. 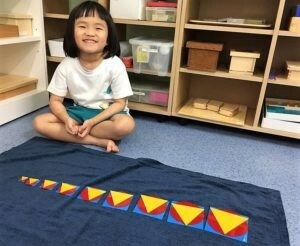 If you have always wondered how best to help your child with his or her learning deficits, and what are the differences in hiring a traditional tutor versus an educational therapist, these are 4 key takeaways on how best to determine what sort of educator is suitable for your special needs child. Cognitive Connections, a Tueetor Premium Partner helps you manage your child’s learning deficits and difficulties with specialist educational therapists. One of the key differences between a traditional tutor and an educational therapist is whilst a tutor is concerned with academic grades or scores, an educational therapist will work on the underlying problems of a child’s learning problems which form the obstacles to his or her cognitive deficits. An educational therapist provides individualized and intensive intervention. At Cognitive Connections for example, initial realistic goals are set by both the parent(s) and educational therapist. Educational assessment reports form the basis of the goals-setting, and may also comprise past or current school work, report cards and exam papers. At Cognitive Connections, younger children who require early intervention, may use their kindergarten report cards with teacher observations, and even a child’s art may be used to give a clear picture of imminent learning difficulties. A young child with cognitive learning deficits may need early intervention. A tutor helps with homework and specific subjects and is an extension of the child’s school teachers – he or she sets homework for practice and drills. At Cognitive Connections, educational therapists only issue meaningful ‘homework’ which would help reinforce concepts learnt during intervention sessions. An educational therapist’s training consists of an intimate knowledge of the psychology behind learning disabilities, and comes with an array of experience in different contexts and populations of children with varied learning disabilities. Special needs child with meaningful homework that helps improve her basic pertinent skills. A traditional tutor’s training is in time management, specific subjects, study skills and they may not be trained in remedial strategies. An educational therapist however breaks down the problem of her students into small achievable goals and lessons. 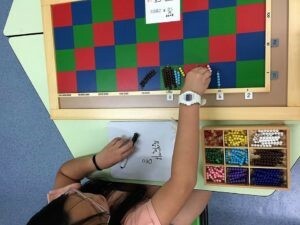 Special needs child learner using geometry to help manage visual spatial problems. An educational therapist also sets goals which are peripheral to the academic subject. 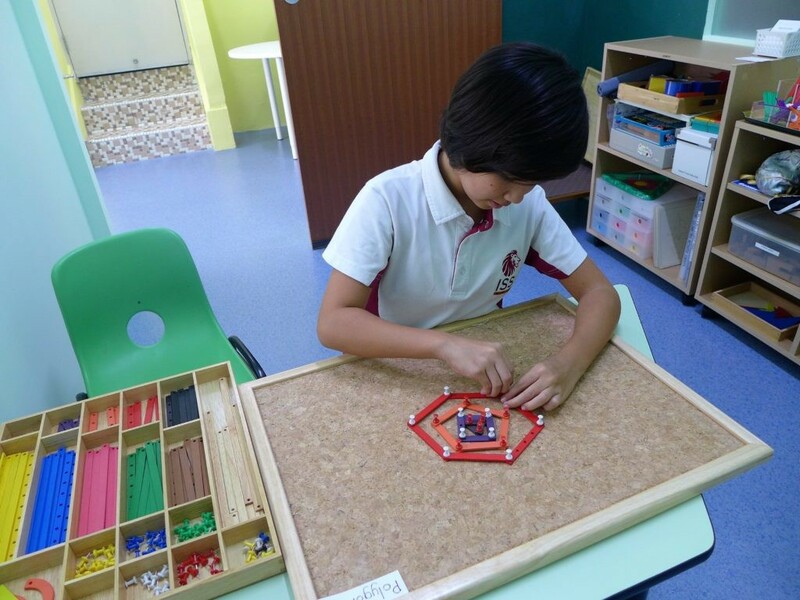 For example, if students have visual-spatial problems and find geometry a daunting challenge, having them build polygons with sticks and nails for example, give them a kinesthetic imprint of lines and space. A traditional tutor works on improving your child’s grades by using worksheets with drills and plenty of practice. 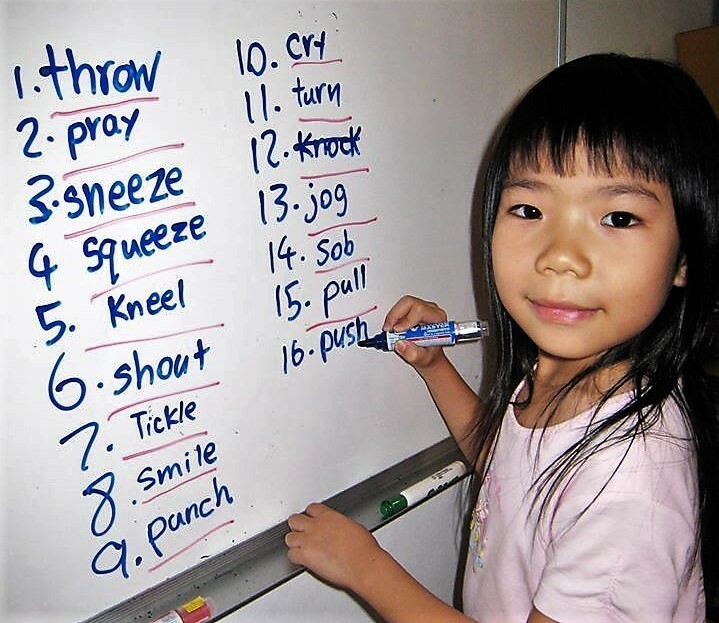 Whereas an educational therapist utilises hands-on materials to bring lessons to life and may sometimes have to invent her own or modify worksheets to fit the student learning needs. Overall, an educational therapist’s training and exposure to the world of learning stretches beyond the area of academics. He or she is also trained in psychology and understands the effects of learning disabilities. Furthermore, she interprets assessments and uses non-traditional interventions to remediate your child. A tutor is a great person for a child to have when they need support in improving their grades. But once you suspect your child has a learning disability such as Dyslexia or Dyscalculia, an educational therapist would be the better option to work with your child, by programming any remediation that may be needed. An educational therapist also collaborates with the various important stakeholders in the child’s learning environment to remediate or develop specific skills. For example, most of them would only start tutoring sessions if the child has had an assessment with an educational psychologist. Some may even consult with the educational psychologist to get more detailed information. To sum up, a tutor’s experience is focused on academic skills. An educational therapist however, has a wide range of experience and knowledge garnered through an array of teaching opportunities from different environments or even countries to better support children learners with learning disabilities. 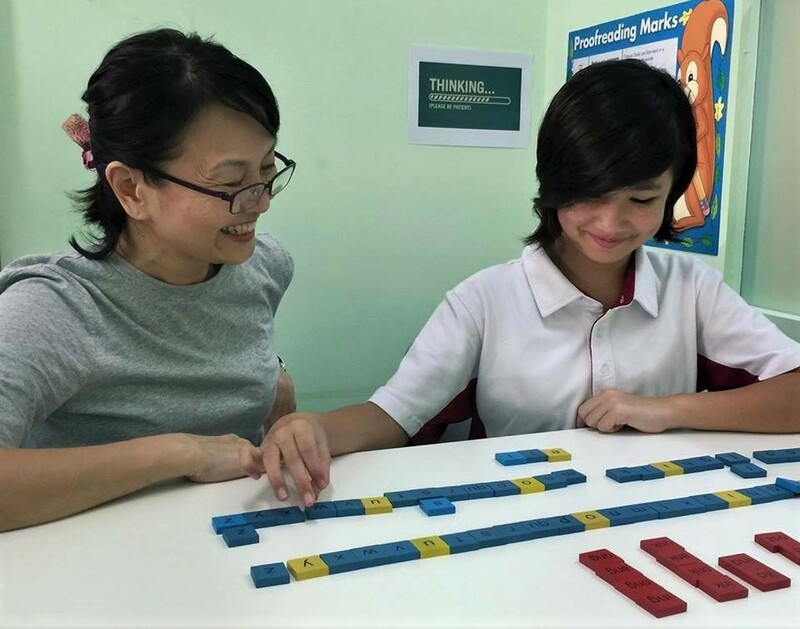 Jennifer Lee of Cognitive Connections is one such Educational Therapist who has majored in and taken specific courses in the USA and has even run Math Camps in a school in San Francisco. She also has degrees in Special Education from Australia and the United Kingdom. Her students attend both local mainstream Singapore Schools as well as International schools. She has also had students from the UK, Hong Kong and Japan who come to Singapore to attend individualized sessions with her over their summer holidays. Most have been able to reach their goals and gain self-confidence with a happier attitude to school. For more information on Cognitive Connections, do check out https://tueetor.com/cognitiveconnections .